Situated on the west side of this popular quiet residential road, in leafy surroundings, midway between Castlebar Hill and Pitshanger Village. 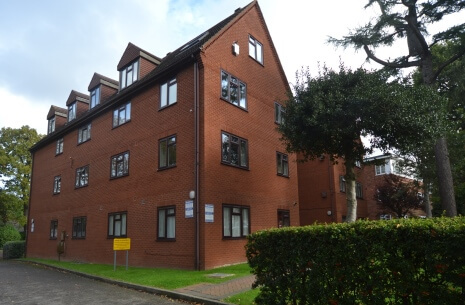 Within approximately five minutes walking distance of good local shopping facilities in Pitshanger Lane and within a refreshing walking distance of Ealing Broadway's multiple shopping and station which lies approximately one mile to the south east. Ealing Broadway station provides quick access into Central London via mainline to Paddington (10 minutes) and underground central line to Marble Arch and the City. The district line connects to Earls Court and Victoria and Heathrow connect provides a frequent 20 minutes service to London Heathrow airport. Ealing Broadway station is due to be redesigned to accommodate the new Crossrail service from Kent/Essex, through central London and Paddington to Heathrow and Maidenhead. This development was constructed in 1985 by Jonathan Dene Developments Limited . White Lodge consists of a pleasing development of eighteen apartments constructed of red facing bricks under a part pitched and part flat roof over four floors. There is a single wide entrance lobby leading to a spacious inner hall and wide landings, which are carpeted. Security is provided via a video entry-phone system. White Lodge is surrounded by mature trees, shrubs, and a large lawn garden mainly to the rear and a large car park to the north side providing ample residents and guest car parking space. Each flat is held on a lease for a period of 99 years from 25th December 1985, and the management of the building is the responsibility of the residents' management company, in which all leaseholders own a share. A separate company, "Freehold of White Lodge Limited", comprising 17 of the 18 leaseholders, acquired the freehold title to White Lodge in 2005.